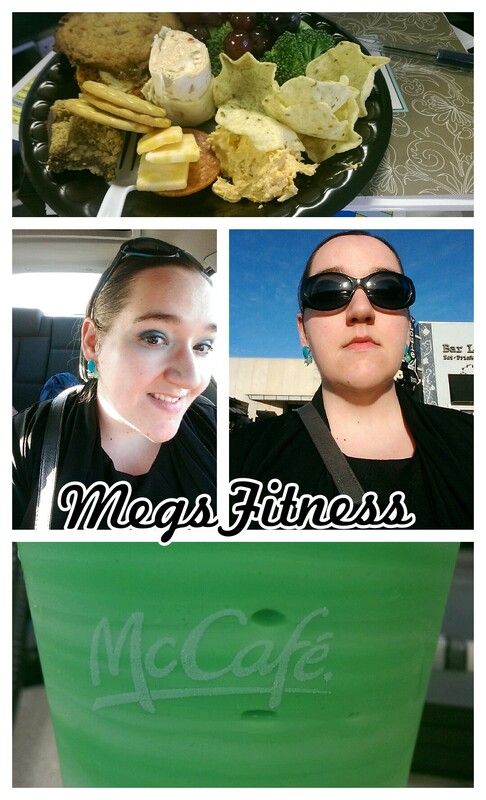 We had a potluck at work today, which pretty much means I over-ate. After that one plate, I found myself wishing for the champagne from the capitol of Panem..you know, the kind that makes you less full? I got the grocery shopping done, too. 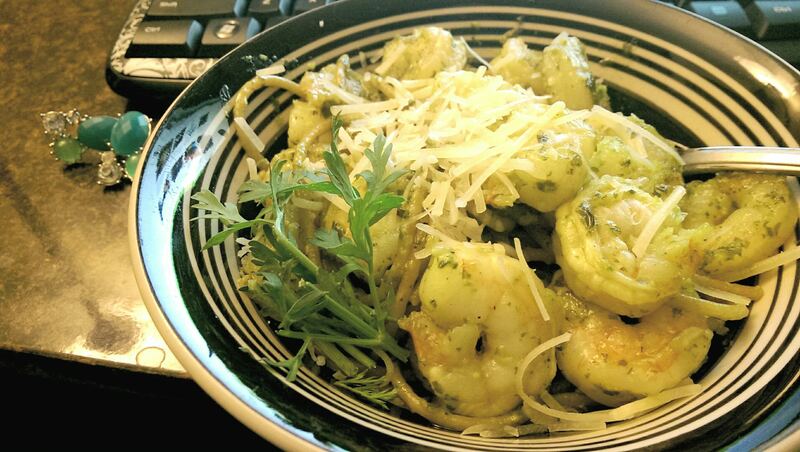 I used some of the goodies to make pesto shrimp pasta. While I was browsing, I made a conscious effort to actually meet people’s gazes. In doing so, I was able to visit with some of the people working and shopping there. I can’t tell if I’m just lonely, or if I just like people that much, but when it was time to leave, I felt almost misty. Tonight, I met Oleg from Belarus, who works two jobs (target and home depot). Since his accent reminded me of my brother-in-law, it made me think of my sister and I missed her and her family so much. I also met Bob, who retired five years ago and came back to work because he missed people. He worked for the airline and loves the Caribbean islands. His wife is from Hawaii but his favorite place to visit is Nova Scotia. I’m really glad I got the opportunity to talk with these folks. I come from a “heads down” generation, so I guess it’s nice to know we can still connect. I told Bob that I would look for him next time. I introduced the mom to cinnamon in her chai latte. Oleg told me I could come listen to him talk whenever I was missing my family. I think I’ll keep talking to strangers. I really enjoyed the ones I met tonight. Previous Post Day 1. Again. How many Day 1’s does one person get?